The Town of Frisco offers day camp programs in both the winter and summer during school breaks for children ages 5-12. 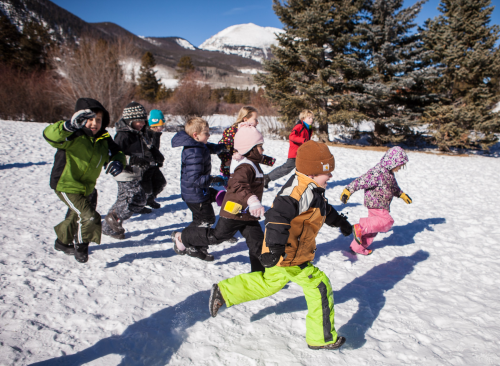 Frisco Winter Fun Club day camp is an engaging & adventurous way for kids to spend no-school days. Each day of camp is focused on themed activities, which offer educational opportunities & activities for kids in a state-licensed day camp program with experienced camp counselors, low child-to-counselor ratios, & access to the great recreational amenities & day trips.